The data was added on ,	29 May 2018 read 220 times. The Israeli military said the code red sirens sounded in the town of Sderot near the besieged Gaza Strip on Monday, declining to reveal whether any rockets had landed in the area. Following reports of sirens sounding in Sderot, heavy machine gun fire was identified emanating towards Israel, according to Israeli forces. 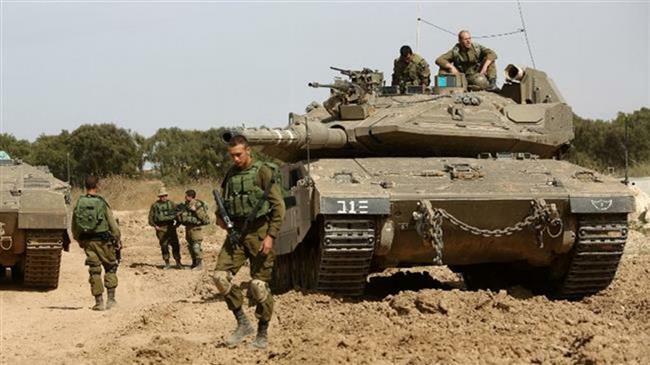 Earlier in the day, a young Palestinian man lost his life and another sustained injuries after Israeli artillery units struck the southern part of the Gaza Strip as the Tel Aviv regime presses ahead with its acts of aggression against the besieged Palestinian coastal sliver. The death brought to 120 the total number of Palestinians who have been killed by Israeli forces since the “Great March of Return” began in Gaza Strip on March 30.